Regardless of age or background, students from all walks of life may struggle with the transition to college. Having a supportive and encouraging network of friends and mentors has been a proven means to help anyone through a life transition. The LGBTQ support systems at accredited colleges and universities is no different. Students gravitate towards those that they can trust, respect, and be themselves around. The best colleges for LGBTQ support stand out in a number of ways. Colleges that made the list for the 2018 top colleges have created a school that supports inclusion for all students in a safe, nurturing environment. Additionally, universities have created organizations, groups, and curriculum to support a diverse group of students. With greater support across all populations, students have the ability to focus on their academic trajectory and utilize their talents in incredible ways. In 2018, more universities around the nation are opening more and more support channels and academic programs in diversity, sexuality, and gender studies. The net result is a more understanding and inclusive society that welcomes everyone. We have a bit of a road to travel yet but we have seen amazing strides being made in the last decade, our collective strength will provide academic and vocational opportunities for people of all backgrounds and beliefs. Together we can stand up for one another and make this world the best it can be during your college term and beyond in the workplace. 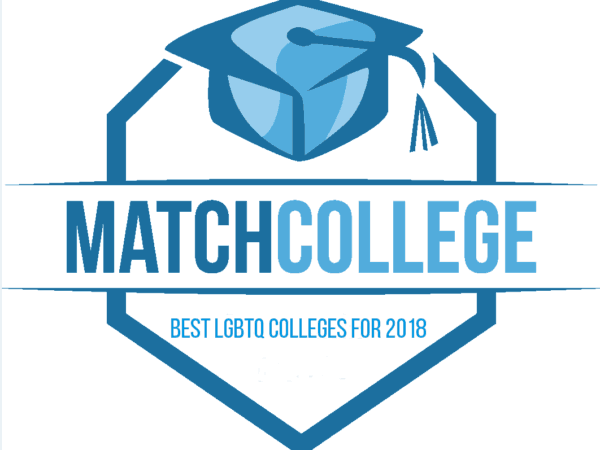 The list of the top 20 LGBTQ accredited universities and colleges are listed below to help your college search process. Utilize this resource to find schools that provide the academic, social, and emotional support that will help make you successful. Our proprietary search tools are coupled with thousands of educational resources to assist in your college search. Make the most of your skills, knowledge, and talent to make the world a better place.